Diabetes has become one of the most common diseases in the world today, but unfortunately that doesn’t make it any less dangerous. If a person happens to be diagnosed with diabetes, he or she will have to undergo a complete change of lifestyle – from eating habits and daily routines to exercises plans. One of the most important aspects of a diabetes patient’s life is his or her meal plan. 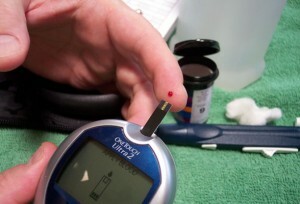 Patients have to stop their current dietary habits and completely reshape into some acceptable form of diabetes diet. Diabetes has become one of the most common diseases in the world today, but unfortunately that doesn't make it any less dangerous. If a person happens to be diagnosed with diabetes, he or she will have to undergo a complete change of lifestyle – from eating habits and daily routines to exercises plans. One of the most important aspects of a diabetes patient's life is his or her meal plan. Patients have to stop their current dietary habits and completely reshape into some acceptable form of diabetes diet. Diabetes is caused by the loss of balance between the sugar and insulin levels in the body and this imbalance can cause a lot of serious problems. People diagnosed with diabetes have a higher risk of suffering from damage to the kidneys, eyes, blood vessels and nerves than the average healthy person. The reason for diabetes patients are in so much danger is because the uncontrolled glucose in their bloodstream attaches with proteins in blood vessels. This alters the shape and plasticity of these vessels, making them thicker and more rigid, and consequently restricting the flow of blood through the body. If this occurs in the arterial vessels leading to the eyes, it can lead to long term eye damage. A patient's kidney can also fail if the vessels around it fail and break up due to diabetes. Moreover, the restricted flow can cause high blood pressure, and consequently heart attacks and other heart related problems. The reduced flow of blood throughout the body also results in cuts and wounds in a patient taking longer time to heal. If the wound is large and the patient is bleeding, his or her life could be in serious danger. 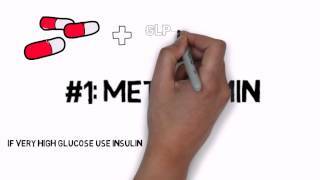 A diabetes diet plan varies with each individual. It depends on his or her age, physical condition, gender, height, weight and a lot of other factors. Usually, your doctor or a dietitian will prepare a detailed diabetes diet chart indicating exact requirements. However, in general, each diabetes patient (including the ones with gestational diabetes) will end up following a plan with restrictions and limits on certain food items. Fatty products need to be restricted to a large extent. Fried food is considered to be an absolute no-no in almost every diet tailored for a diabetes patient. With the loss or reduction of insulin production, sugar intake needs to be reduced by a large margin to keep glucose levels low. Common white table sugar is removed from the diet because it is the one of biggest contributors to spikes in blood sugar levels. Instead, diabetic diet plans shift the patient’s sources of sweeteners to natural ones, such as honey. Salt is another big problem in a diabetes diet. A diabetic diet plan suggests the recommended salt intake coming from natural sources like organic vegetables. When a person has diabetes, a food item's glycemic index takes on a lot of importance in their diabetic diet. Food with a high glycemic index increases the levels of sugar, and is therefore restricted. Examples of these food items are rice, carrots, bananas and potatoes. Red meat should also be avoided. In fact, many a diabetic diet plan limits the quantities of non vegetarian food drastically. Eggs and chicken should be reduced as much as possible, while lean fish is acceptable in a diabetes diet, but only occasionally. A diabetic diet plan (and the chart that goes with it) is a highly individualized part of a patient's attempt in keeping the disease in control. As a general rule, this type of dietary regimen should provide the patient with around 1,500 to 1,800 calories every day. A majority of these calories must be derived from carbohydrates, while fat and protein provide smaller contributions to the total calories in a typical meal plan tailored for diabetes. Carbohydrates, which come in two types – simple and complex, should be limited to mostly complex. 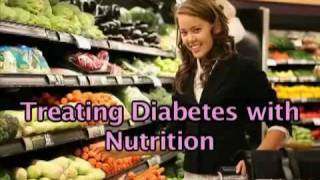 A diabetic diet plan should consists of varied daily menu options. 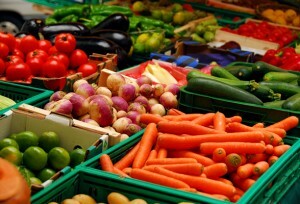 Fruits and vegetables should be a staple of a diet for diabetes and prepared with the least amount of oil. Regular weight and blood sugar monitoring are a vital part of evaluating the efficiency of any diabetes diet, along with regular insulin dosages as prescribed by the doctor. it is always the best to consult a dietician and let them communicate with your doctor in order to prepare the right diabetic diet for the patient. It is also crucial for the patient to start following the prescribed diabetes diet plan as soon as possible in order to control his or her condition.